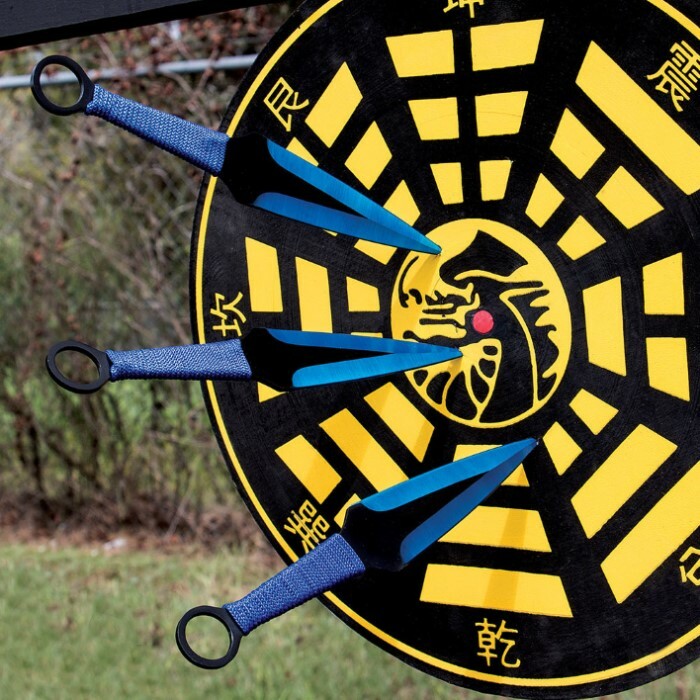 Are you looking for an excellent set of throwing knives? 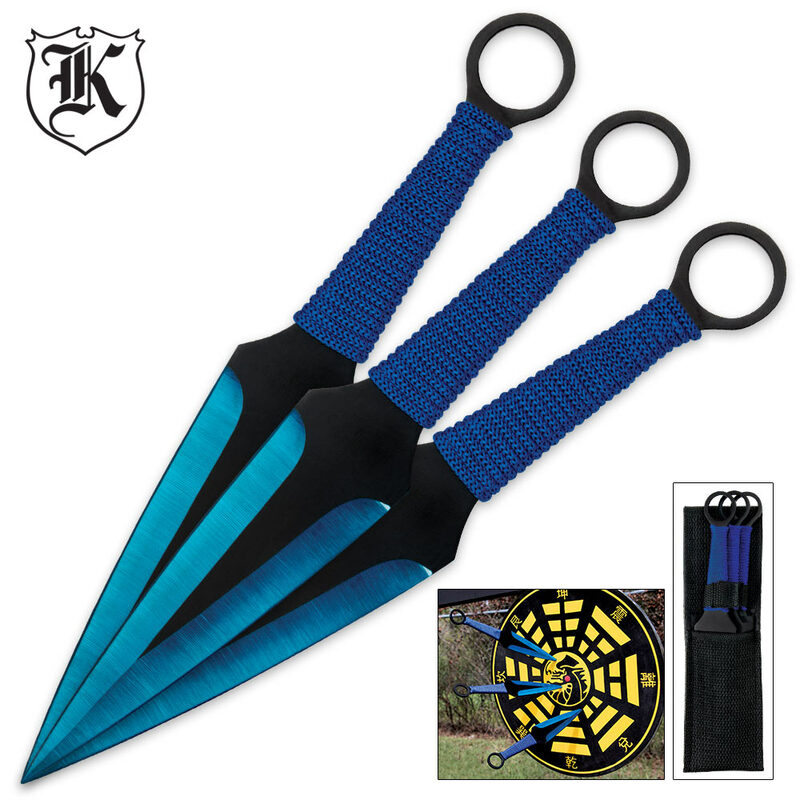 The Blue Blade Throwing Knife Set consists of three throwing knives for you to add to your collection. So that you will achieve ultimate target penetration, each has a 5 1/4" blue 3Cr13 stainless steel blade that is honed to an unbelievable sharpness. The stainless steel handles are wrapped in blue cord for a comfortable grip. Each knife is 9" overall. 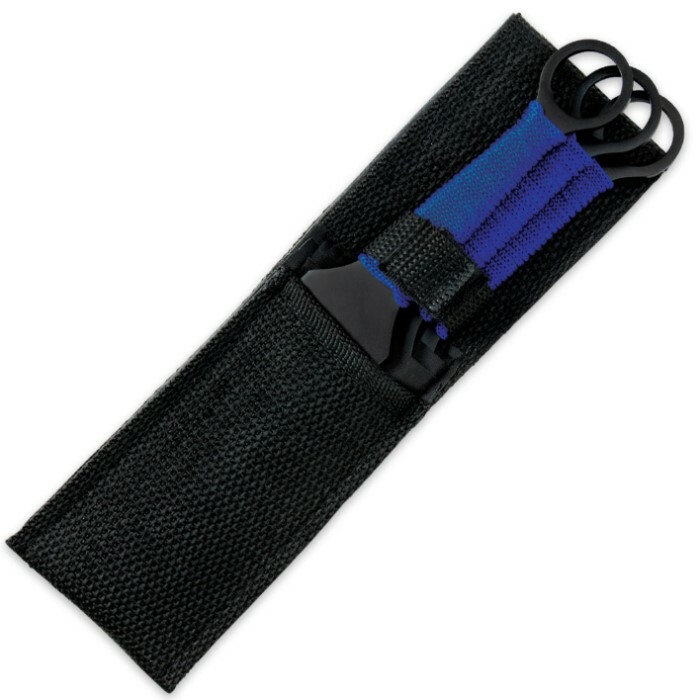 A nylon sheath completes the package. Got the blue throwing knife set for my 10yr old daughter. Tips are sharp but the blades are not. Perfect for her to start learning, she enjoys daily! I have a red set just like this, so I decided to get this blue set as well. Glad I did. They're big enough and heavy enough. Plus, I'm getting so much better at throwing these kind of knives that the smaller one just weren't cutting it anymore. Love these knives. Thanks BudK! They stick well enough, the cord will be torn up after a handful of throws. The color is nice since it makes them stand out when you're trying to find them after a ricochet.